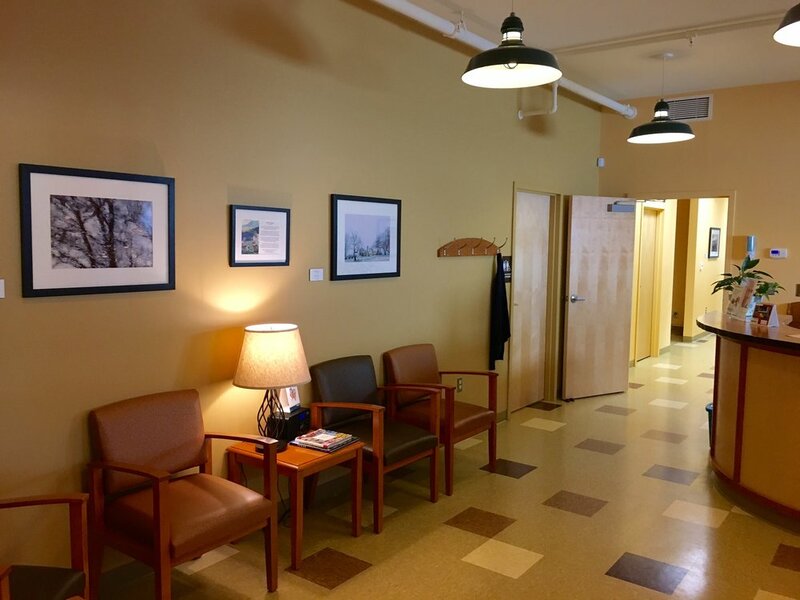 Red Clover Family Dentistry is a non-profit dental practice located in Bristol, Vermont. Since opening in 2014, Dr. Patrick Rowe and his team have been delighted to provide high quality, patient-centered dental care to the community and surrounding areas. We strive to make our patients feel comfortable and informed about their oral health, by explaining treatment options in the office and providing instruction for care at home. Questions about insurance, services, or even what age to start visiting the dentist? Don't hesitate to contact us. We are happy to answer any questions you may have. Lester C. Anderson traveled the world studying local cultures and capturing illuminating images of them on film. The photographs speak for themselves. All of the photographs in the Red Clover Family Dentistry exhibit were taken in Lincoln Vermont between 1971 and 1983 with a Nikon F 35mm camera and Kodachrome slide film. All photographs were composed behind the lens. No cropping was ever employed. Michael Forte of New Haven, Vermont digitized the images and printed them in Middlebury, Vermont. Callie Brynn matted and framed the photographs and hung them with her mother, Louise K. Brynn of Bristol. Monique Pia Anderson, Lester’s beloved wife and companion for over 60 years, encouraged Lester to make his art available to the community. This exhibit at Red Clover Family Dentistry is part of that effort and is dedicated to Lester and Monique.